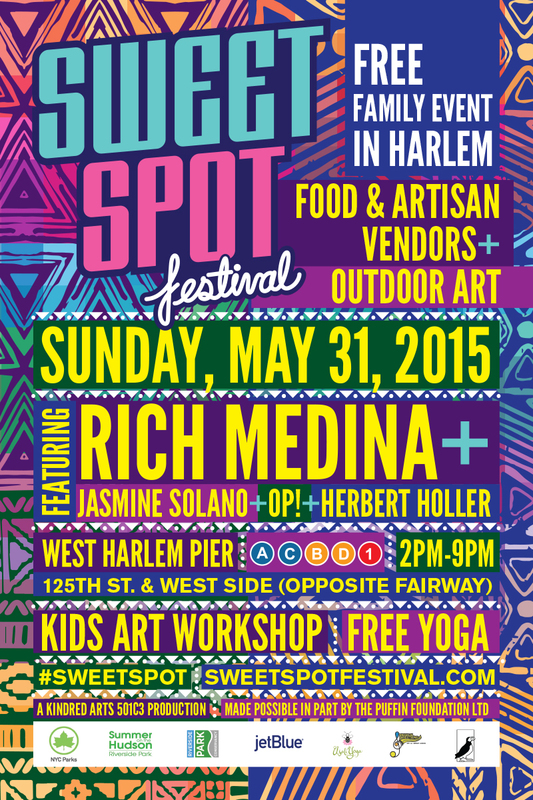 For the 4th year in a row, The Sweet Spot Festival returns to Harlem! Join Sweet Spot Festival for our summer Kick-Off. Music, Dance, Food & Artisan Vendors, Free Art Workshops, Free Yoga & so much more. Pack a picnic blanket & bring the homies! Tags: festival, free, harlem, nyc. Bookmark the permalink.